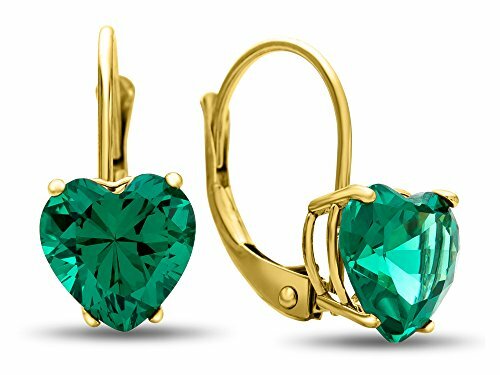 This dazzling Finejewelers 7x7mm Heart Shaped Simulated Emerald Lever-back Earrings, crafted in 14 kt Yellow Gold . Warranty: - This item is covered by our exclusive Silver Shield Lifetime Warranty. This exclusive lifetime coverage is offered ONLY by Finejewelers so please shop with confidence, our quality is guaranteed for life!